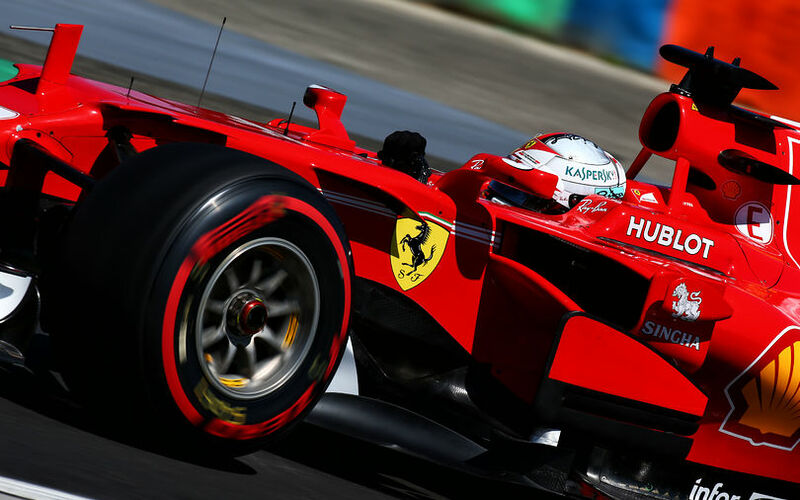 The Hungarian GP marked the last race before Formula 1 switched its summer break mode on. The technicians did not fail to impress with their latest modifications, though. Sauber presented the visually biggest upgrade package, but Ferrari and Red Bull also introduced a raft of developments. 11 races completed, a further 9 still to go. Formula One has already passed its midpoint of the 2017 season, but the new technical revamp for this championship means technicians have an enormous playground to fine-tune their masterpieces and exploits the limits of the regulation and find the last drops of performance. Over the last GP weekend prior the Hungarian GP, Ferrari seemed to slip back in the development race against Mercedes and seemed to lose performance due to the latest restrictions imposed by FIA regarding the floor’s flexibility and oil burning. To dismiss the concerns, the Scuderia gave the answer with its latest development package which was more impressive then than the one of its arch rival Mercedes. The team brought a new bargeboard to Hungary. The previous version was a seemingly simpler version than the one used by for example Mercedes, Force India or McLaren-Honda. It has a slightly serrated vertical element which has only two cuts over against Force Inida’s bargeboard which is serrated into ten sections by nine vertical cuts. The new bargeboard was upgraded with a serrated horizontal plane which has three blades. It is, however, still much less serrated than the Mercedes’ multi-blade, highly serrated version. To support the new bargeboard, Ferrari also introduced two inlets to the frontal extension of the floor. The rear part of the floor was also improved. Instead of four slots, the upgraded one has six S-formed slots on the outer part of the floor. The team also modified its rear wing. It added more slots into the endplated of the wing which has now a total of six cuts. The previous version which was also raced at Silverstone during the British GP had only four slots. Ferrari tested a series of upgrades during the post-race test at the Hungaroring including a heavily modified diffusor and a new floor. The new diffusor which was first tested by Ferrari’s brightest junior talent Charles Leclerc on the first test day was equipped with a completely new, smaller and more curved middle-section. The new floor was a further updated version which the team introduced to the Hungarian GP. The engineers are keen on gaining back the downforce lost by the restriction regarding the floor’s flexibility which affected the SF70-H the most. Mercedes only brought slight modifications to the Grand Prix it won last year with Lewis Hamilton behind the wheel. The upgrade affected the rear wing. After having raced the ‘spoon’ rear wing in the last couple of races, the Anglo-German team introduced a new, high-downforce solution for the slow, twisty circuit of the Hungaroring. It was derived from the one used at Monaco and Barcelona. 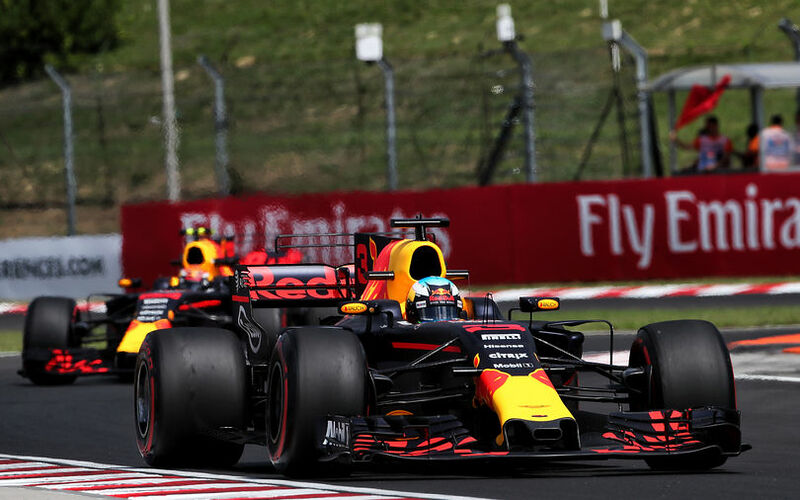 The energy drink-owned F1 team which suffered from correlation problems between its CDF, windtunnel and real track measurement brought another upgrade package to the slow-speed Hungarian circuit which usually highlights the strengths of its cars. The team introduced a slight modification to the front wing which went through many small changes over the last races. A new horn was developed which connects the endplate and the main plane. That was a requirement of FIA’s technical department after some rival teams spotted the outer part of the Red Bull’s front wing flattering in the high-speed corners of Silverstone. The mounting pillars of the mirrors were also upgraded. They sit now more outwards and are supported, interestingly, by two support pillars instead of one horn. Teams don’t usually modify the shape of their sidepods as it has too much of an effect on the aerodynamics of the rear of the car. If they feel need to change it, it is always part of a bigger, all-around, sweeping upgrade package. Red Bull did it in Hungary with its extensive development. The inlet of the sidepods was decreased in its cross section area. The Swiss team also introduced a series of upgrades to the 4381m long Hungarian circuit located just outside Budapest. In fact, the Sauber update was visually the most significant one in the entire paddock. 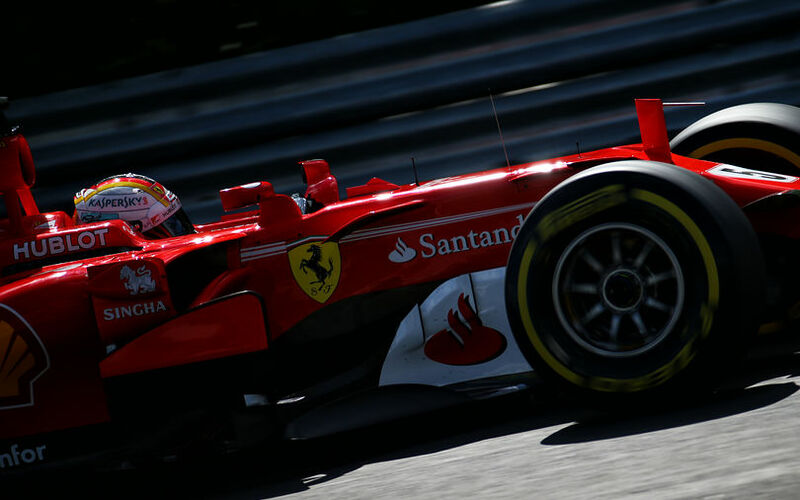 In term of the aerodynamics, the updated C36-Ferrari was the B-spec car of the former one. The package included various additional and modified vanes, modified bargeboards and engine cover. The Hinwill-based squad went with its package so far that it also made changes to the sidepods. The former wave-like shaped lower edge was modified to a quarter-round which increased the inlet area in its cross section. The pillars and the housing of the rear mirrors were also modified. The previous pillars featured a 90-degree shape while the new ones are more linear and lean outwards. One of the most significant changes was the completely redesigned bargeboard. The main vertical element of the former one was a contiguous part while the new one features a serrated, six-element vertical plane. The trailing edge of the horizontal element was already a heavily serrated part which was further updated. The engine cover was also redesigned for the Hungarian round. As Sauber miscalculated itself with the cooling requirements for its contemporary car, the team added a new, secondary inlet to the upper part of the engine cover. It remains to be seen whether this solution makes appearance in cooler races or it is only required in high ambient temperatures. Renault introduced a huge upgrade package at Silverstone which worked very well. It included a new floor which was only raced by Nico Hülkenberg, but Jolyon Palmer got the new one in Hungary, as well. The team did not hesitate with further experiment parts at the twisty Hungaroring. A new front wing arrived for the third and final practice. The new solution was equipped with a longer vane on its endplate and the upper edge of the endplates featured a small cut. However, the new front wing not raced, it is expected to return for further evaluation at Spa. Toro Rosso introduced a rather interesting and spectacular horizontal element for its turning vane beneath the nose cone. The three-element vertical section has had a contiguous horizontal support plane so far which was totally redesigned for the Hungarian GP, though. Instead of the solo plane, a narrow panel connects the three vertical elements and eleven upcurved vanes sit on it. Toro Rosso also started working on the serration of the bargeboards. The previous version consisted of two elements. For Hungary, the engineers slotted the outer element. During the tests, the Faenza-based squad tried out an innovative secondary T-wing which connects to the lower part of the engine cover fin. It is placed in the same height as the middle part of the rear wing. The upper T-wing is a solo-plane configuration with a curvature in its middle section. The team might seek for ways to exploit the extra downforce from the T-wing, but reduce the induced drag. Force India updated its already very complex bargeborads. The enormous vertical element was already serrated into ten pieces. For the Hungaroring, the Silverstone-based squad modified the frontal part of the horizontal element, it features now five small vanes instead of a contiguous surface. McLaren-Honda introduced a refined T-wing. The Anglo-Japanese collaboration which pinned high hopes on the twisty high-downforce circuit of the Hungaroring has the most complex T-wing with its rival Williams team. The McLaren’s solution is a three-element one with a slot in each element. The highest and the middle element are equipped with a gourney flap to improve the separation of air.